MAXX Mobiles an Indian manufacturer launched a phone designed for gaming.The MAXX GLO MX388 comes with 250 preloaded games and has dedicated gaming buttons.The game options includes category's of Action, Racing, Puzzle, Adventure, Fighting, Shooting, and Sports. It includes Super Mario and Pacman. 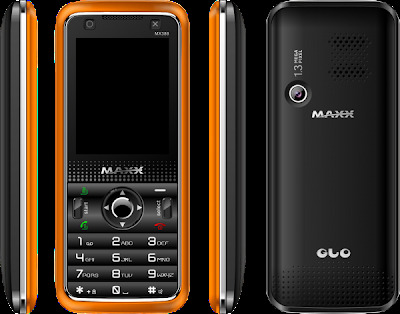 The MAXX GLO MX388 phone comes with a free 2 GB memory card(Expandable up to 8GB), 1.3 Megapixel camera, Bluetooth connectivity, FM Radio, and MP3/MP4 audio/video playback, 800 mAh battery and the phone is Java enabled. The MAXX GLO MX388 has a the tiny "X" and "O" buttons on top of the display which turns the phone into a gamepad when you hold it in the landscape orientation. 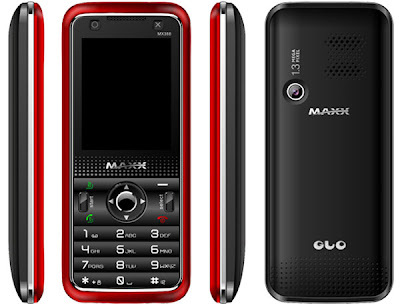 The GLO MX388 phone has a set of three body-shells that is of red, orange, and blue. 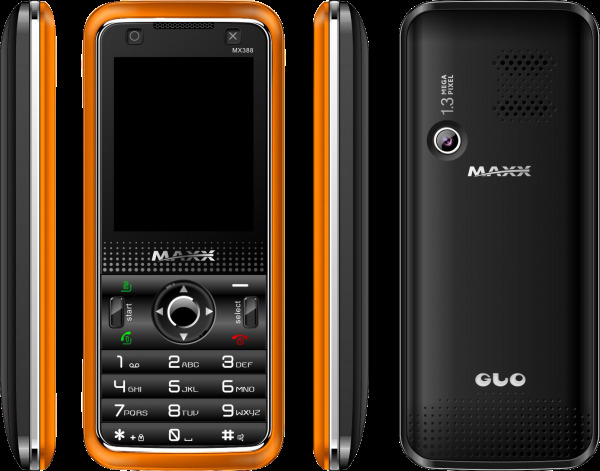 The MAXX GLO MX388 is priced at a modest Rs 2,361 and is made available first in Mumbai and later in other cities across India in retail outlets. Tags:MAXX GLO MX388 phone, MAXX GLO MX388 gamming phone, MAXX GLO MX388 phone features, MAXX GLO MX388 phone availability, MAXX GLO MX388 phone price, MAXX GLO MX388 phone specifications, MAXX GLO MX388 phone review, MAXX GLO MX388 phone images, 250 preloaded games.